The lakefront Minnesota city of Duluth has some of the coldest temperatures outside Alaska in the United States, and gets more than seven feet (2 meters) of snow each winter on average. 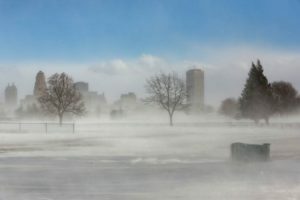 But Harvard professor Jesse Keenan thinks the frigid city may eventually prove an appealing relocation destination for Florida residents, as climate change brings increasingly unbearable heat to already warm parts of the United States. “If you’re Florida … (the predictions) should be quite unnerving,” the expert in climate adaptation and design said in a telephone interview with the Thomson Reuters Foundation. As climate change brings more stifling summers, worse flooding from storms and rising sea level, crueler droughts and ever-longer allergy seasons, what Americans consider a nice place to live may shift, along with Americans themselves. Some of the changes won’t be by choice, scientists warn. As many as 13 million Americans could be displaced by rising seas alone by 2100, 6 million of them in Florida, according to estimates published in 2017 in the journal Nature Climate Change. That, planners say, presents an opportunity for cities such as Duluth and New York’s Buffalo, which are already launching efforts to rebrand themselves as destinations of the future in a climate-changed world. Downtown Duluth and shoreline in 2012. Photo credit: Joey1niner via Wikimedia. When Duluth’s mayor, Emily Larson, first heard of Keenan’s proposition that her city of 86,000 could be one of the best choices for climate migrants, her reaction was “astonishment”, she said. But Keenan sees some northern Rust Belt cities – which stretch from the Midwest to parts of the Northeast – as natural destinations in a hotter world. The Rust Belt lost jobs and population starting in the 1950s as industries moved overseas, and some of its cities still have more buildings and infrastructure than they can use. Duluth, for instance, was planned for a population of 120,000 people – something it has yet to achieve. To show how an underutilized city such as Duluth might be repurposed, Keenan has created computer renderings of what it might look like if it becomes a major draw for climate migrants. One rendering shows downtown Duluth with new structures – represented by gray blocks wedged amid historic landmark buildings – that could help accommodate tens of thousands of new residents fleeing climate pressures. Zack Filipovich, a Duluth city councilor, worries what that influx would mean for his city’s downtown ensemble of government buildings, designed about a century ago by prominent architect Daniel Burnham and listed on the National Register of Historic Places. Utilitarian housing for new arrivals could cause the city to “lose some of our charm,” he said in a telephone interview – though he said he still sees benefits from the city having a larger population. In Buffalo, another city Keenan considers promising for climate migrants, under-used roads and public transport testify to the city’s more populous heyday as a steel powerhouse. It, like Duluth, nestles along the Great Lakes, which contain 20 percent of the world’s surface freshwater, a significant attraction in a potentially hotter world. Both cities also are healthcare hubs and have nearby major economic centers – Minneapolis for Duluth and Toronto for Buffalo, Keenan said. Buffalo’s mayor began publicly talking about the city’s future potential earlier this year. “Based on scientific research, we know that Buffalo will be a climate refuge city for centuries to come,” he said in a February speech. Brendan Mehaffy, executive director of the mayor’s office of strategic planning, said top city officials had been briefed to talk positively about the city’s potential appeal in a climate-changed world. Buffalo often “takes the shots” for its reputation for heavy snow, he added. A 1977 blizzard saw parts of the city buried under 30 feet of cement-like snow. But predictions of more clement weather could change that. “Our climate … will be different in 20 to 30 years’ time and could be very beneficial for certain types of businesses and certain types of lifestyle,” he said. Climate scientist Katharine Hayhoe, co-author of a government report on the impacts of climate by region in the United States, said the report offered hints about areas that may become climate sweetspots. The National Climate Assessment, published last year, warned of growing water scarcity in large swathes of the southwest and the northwest, more people exposed to illnesses such as Lyme disease in the southeast, flooding in the northeast, and declining harvests in the Midwest as temperatures rise. Coastal and island communities also could suffer higher storm surges and heavier precipitation, it said. “To look for places that are potential climate havens, we have to look for locations where key resources, such as water, will not be short in the future and where extremes are not already overwhelming,” Hayhoe said. 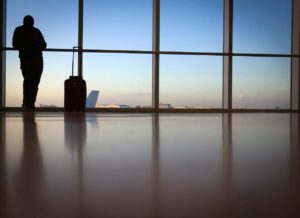 Departing passenger at Miami International Airport. Photo by REUTERS/Carlo Allegri. Cincinnati is another city identified as likely to escape the most extreme climate stresses the National Climate Assessment describes – and it is already looking to promote its unique attributes. 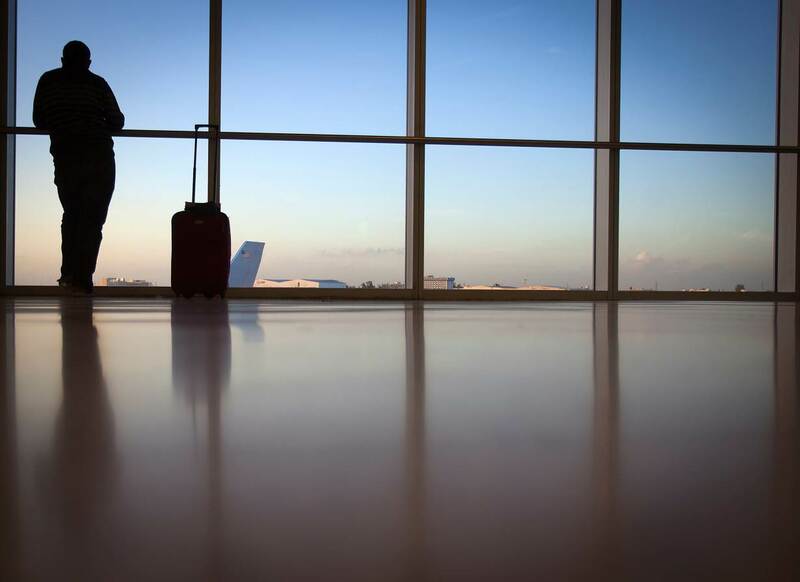 That plan to welcome Americans displaced by extreme weather grew in part from the realization that thousands of victims of Hurricane Katrina, which hit Louisiana and Florida in 2005, had relocated to Ohio, said Oliver Kroner, sustainability coordinator for the city. 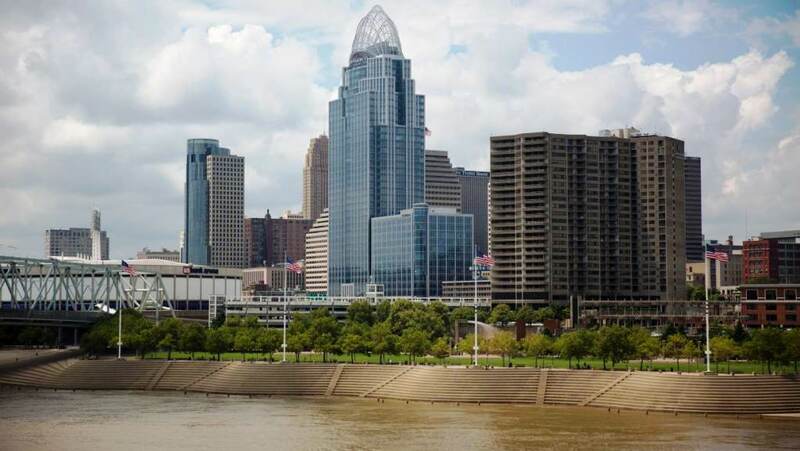 It speaks of the importance of offering affordable housing and emphasizes the “economic opportunities if Cincinnati is prepared to market itself” to businesses seeking to set up outside disaster-prone areas. Like Buffalo, Cincinnati’s metropolitan area was built for more people than its nearly 300,000 residents, Kroner said. Its population has declined by about 40 percent from a 1950 peak, largely due to falling demand for manufacturing workers, according to the Cincinnati Museum Center. There are up to 40,000 vacant housing units across the wider county, Kroner added. “We’re interested in returning to the economic strength that we have had in the past,” he said. Portland, Oregon photo via Adobe Stock. But not all cities that have looked into becoming climate havens think constructing a tailor-made plan for climate migrants makes sense. 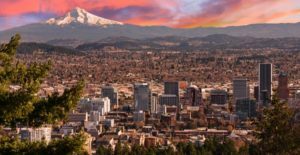 In Portland, Oregon, municipal chief sustainability officer Michele Crim said authorities decided to keep tabs on climate migration starting about a decade ago. Oregon’s largest city, which has 630,000 residents, has been identified by experts as a likely climate refuge, and has partnered with universities to explore the idea. But researchers concluded climate migrants in the fast-growing Pacific Northwest would be “noise lost in other migration”, Crim said. 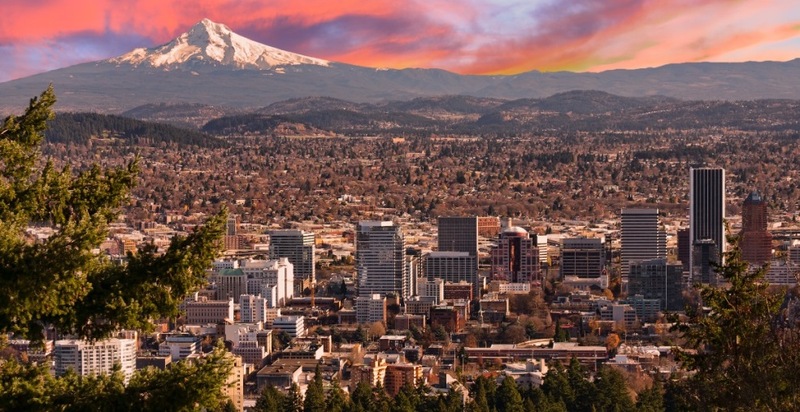 The region is already experiencing strong growth, in part because of rising economic opportunities, with Portland projected to add 260,000 new residents between 2010 and 2035. Geographer Robert McLeman, who has studied the 1930s Dust Bowl migration, which saw 2.5 million people flee drought-stricken U.S. Plains states, said more urban planners need to begin preparing for waves of climate migrants. But potential refuge cities may struggle to build costly infrastructure, such as water treatment plants and gas and electricity supplies, without a large enough tax base ahead of time to pay for them, said the associate professor of environmental migration at Canada’s Wilfrid Laurier University. 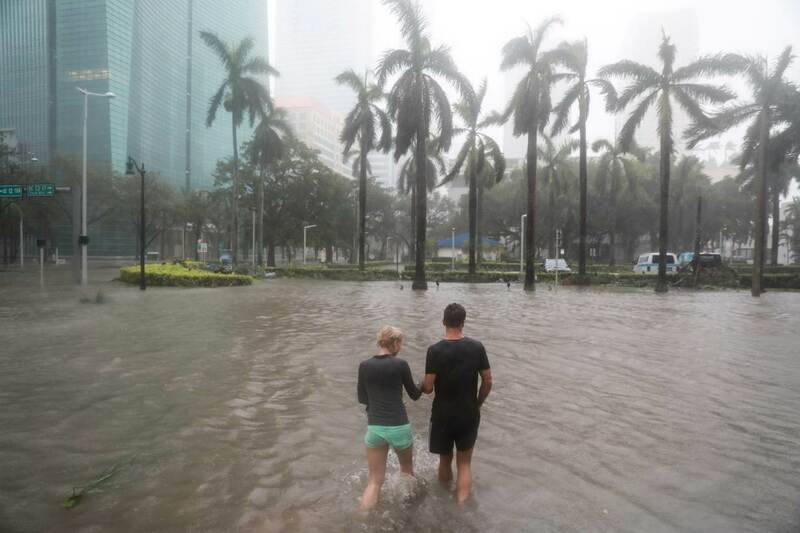 And with researchers predicting that nearly 2 million residents of Florida’s Miami-Dade County could face coastal flooding by 2100, McLeman said the scale of needed preparations is daunting. “If a city the size of Miami has to be relocated, heaven help the United States,” he said. Featured photo (cropped) shows downtown Cincinnati, Ohio in 2013. Photo courtesy of REUTERS/Aaron P. Bernstein. This article by Sebastien Malo (@sebastienmalo), editing by Laurie Goering, was originally published by the Thomson Reuters Foundation, the charitable arm of Thomson Reuters. Reprinted here with permission.